Trail reports for trails 40 miles east, west and south of Fort Kent. As reported by Maine Snowmobile Association. Reports for all of Northern Maine. 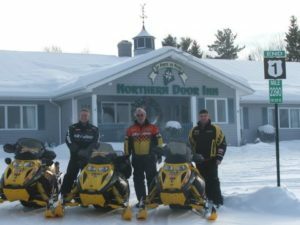 Make Northern Door Inn your snowmobiling headquarters. Huge parking lot….even with a full house you have plenty of room to maneuver. Nine restaurants within a five minute walk. Access all American and Canadian trails direct from our parking lot. Yamaha, Ski Doo, Polaris and Arctic Cat dealers nearby. Free continental breakfast and free wireless internet access. Gas available at the foot of our parking lot. 24 hour Maine snowmobile registration service at the police station (one minute from our front door). Quebec Federation of Snowmobile Clubs. Great sleds, open for repairs and parts. We are a family owned and operated outdoor recreational dealership, with the motto “Service is the Difference”. A 40 year tradition in downtown Fort Kent, we sell and service bikes, scooters, quads and sleds. 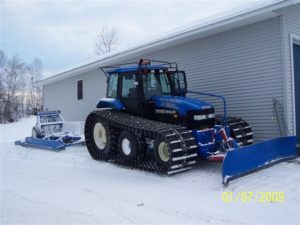 Arctic Cat Dealer. Cat Master Technician. We are located on Route 11, 3 miles south of Fort Kent, Maine and right off ITS-85 in the beautiful St. John Valley.